Silage continues to be harvested for cattle feed. Silage corn harvest is about 50% complete. Alfalfa growers are finishing the 6th cutting for the season, and should have one more before this season winds down. Cotton fields are being defoliated. Other field crops continue to be irrigated due to the warm weather. Sudan grass harvest is increasing, and should be coming to a finish soon. Black-eyed bean fields have received final irrigations and are being dried for harvest. Peach, plum, and nectarine harvest season is starting slow down. Stone fruit continue to be exported to British Columbia, Canada, China, Mexico, Taiwan, Australia, New Zealand, Brazil, Chile, Costa Rica, Ecuador, El Salvador, and New Caledonia. Table grape harvest continues at full-speed, while raisin grapes that have completed the drying process continue to be rolled and collected from the fields. Exports of table grapes continue to Australia, Chile, China, Canada, and New Zealand. Pistachios, almonds, and walnuts continue to be harvested and exported to Hong Kong, Bulgaria, Belgium, United Arab Emirates, the Philippines, Norway, Colombia, and various other countries. Present season in-shell walnuts are being shipped to Hong Kong. Asian Pears are being exported to Mexico and Central America. Pomegranates are being shipped to Korea and Mexico. Kiwifruit continue sizing normally. The persimmon crop is larger than normal, and early varieties are starting to color with maturity. Valencia oranges and some varieties of lemons continue to be picked and packed. Shipments are being sent to domestic markets and small amounts to Mexico. 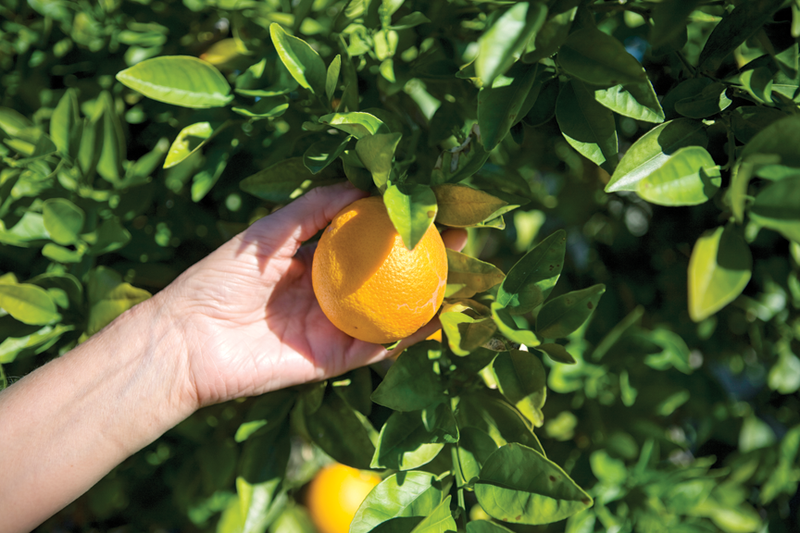 The upcoming citrus crops appear normal to slightly above normal in volume and fruit size. Growers are monitoring the fall Red Scale flight that is currently under way. Olive fruit continue sizing normally, with a heavy crop observed in some orchards. Olive harvesting has started slowly. Summer vegetables such as; eggplant, bell and jalapeno peppers, corn, melons, and squash continue to be picked and sent to domestic markets. Strawberry fields continue to be fumigated and prepared for fall planting. Honeydew melon harvest is winding down. The condition of rangeland forage is poor. Supplemental feeding and nutrients continue at lower elevations. The current cattle price is $1.23 per hundred weight and holding steady. Small amounts of wholesale nursery stock are being sent to retail outlets. The planting of new citrus trees is finished, with fall budding already starting. -Prepared by Marilyn Kinoshita, Tulare County Agricultural Commissioner/Sealer.